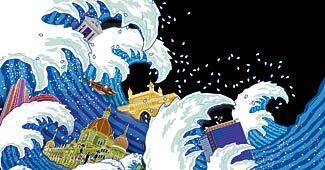 India has seen terrorist attacks and killer floods in its commercial capital Mumbai, and even the destructive power of a tsunami on the Indian east coast. Business strategies for times when life as you know it has stopped. Luckily, the earthquake and tsunami did not hit Tokyo. That would have dealt a sledgehammer blow to the global economy. At Business Today we decided to investigate whether Indian businesses are prepared for disaster. Among the privileged few who had interactions with Warren Buffett when he visited India in March, was Aryaman Dalmia,who met the billionaire investor for a full 15 minutes. President & CEO, Cognizant Technology Solutions Francisco D'souza talks about his leadership style. Sir Martin Sorrell, CEO of WPP, says everyone is creative, even financial people, sometimes they can be too creative. Salary hikes are just around the corner. Expecting to move up the designation ladder? Here's why you should go for job profiles and not titles. The Koenigsegg Agera costs Rs 12,50,00,000, says Kushan Mitra. An oft-bandied number holds caution for India's New Business Families (Cover Story, April 17): only four per cent of family businesses survive beyond the third generation. The private jets market in India takes off, buoyed by the growing number of billionaires and their expanding business interests. India has the maximum number of private jets in Asia. 3G services disappoint but Wi-Fi could power your data. The future might not be 3G or broadband wireless, but may lie in Wi-Fi. Consolidation will deliver the goal of financial inclusion rather than new bank licences, says Rana Kapoor.